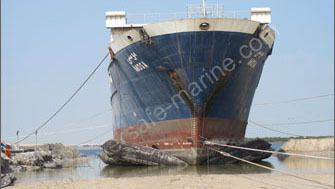 Marine airbags are often called ship launching airbags that indicate the most popular application of these heavy duty airbags is for ship launching. 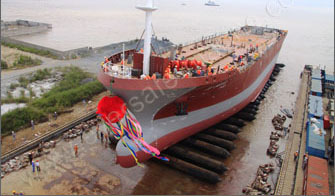 Not only for regular ship launching, marine airbags are also powerful and convenient tools for structure launching, such as steel confferdam,concrete bases. The limits of airbag launching are decided by the launch weight and contact area of airbags with launch objects. 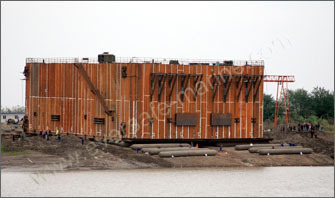 It is easy to launch the 5000 tonnes ship but not the 15 meters high caisson. 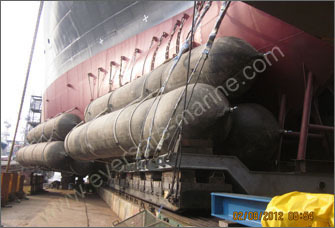 Marine airbags are widely employed to haul out vessels on the temporary site. So people call airbag haul out system as the portable drydock. The limits of airbag haul out are decided by the pulling force mainly. 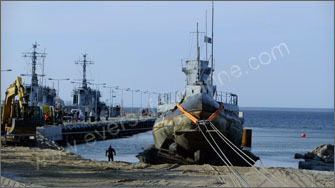 Big tide difference will be helpful for the haul out operation. 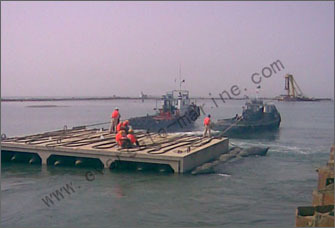 The prosperous application of airbag heavy transportation is shifting caissons to submersible barge for launch. 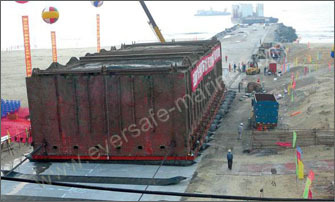 More than 5,000 tonnes caissons have been shifted successfully.The whole process need neither heavy equipments nor trails,only airbags and winches, it can save clients most investment and time. 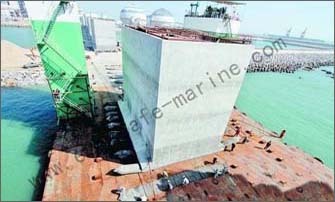 Marine airbags can provide big balanceable buoyancy that will be great helpful for ship launching in deficient water level or some projects need extra buoyancy support.